Don’t get me wrong, I am a huge fan of the music streaming service Spotify. The way in which it makes almost every great album, both past and present, accessible with one click, is a wonderful thing. However there are still a few things which I think Spotify needs to address. Here are five quick ideas. 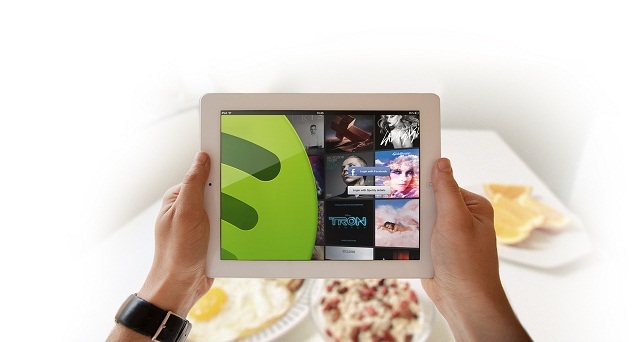 1 Charts – What would be amazing is if Spotify were to allow users to create their own charts. There must be a way of taking the data they collect and then enabling the listener to conjure up all kinds of fancy charts from ‘most played tracks of the week’ to the ‘top ten album of the month.’ It would be great to have weekly charts about my most listened to tracks which I’d prodigiously share on Facebook etc. 2 Less confusion about following bands – I want to get alerts that tell me when bands I love have added new music to Spotify. I do get alerts from Spotify but I have no idea why I am getting them. It used to be that if you followed a band then you got the updates. Now though you also apparently get updates of new music from bands who you have featured on your playlists. Except that I don’t. I have so many bands in my playlist that if that were the case I’d be getting emails from Spotify all the time. Spotify needs to sort out the process and make it easy for you to keep tabs on who you are following. 3 Album sleeve notes and comments – I know that there are notes for many artists taken often from Allmusic and other sources. Well why not grab album reviews too. In fact maybe take 500 great albums and get some serious, specially created sleeve notes for them. It wouldn’t cost that much but it would certainly be an interesting new feature for Spotify to shout about. Alternatively it could add a reviews section and take reviews from some of its media partners etc, as well as giving users the opportunity to add their own comments. 4 Work harder to correct mistakes – Today I got an email informing me of the new Cat’s Eyes album, which was great news as I love the band’s previous collection. Instead of a new collection of songs from the side project of the fella in The Horrors, I got some weird ambient nonsense from a French DJ. Spotify is riddled with errors like this. I do think that the company could crowdsource information from its users to correct sites. If there was an easy way of doing this, I am sure its users would oblige. 5 Request an album – In the same way that Amazon enables you to suggest to publishers that they publish books in the Kindle format, so there could be way of Spotify users asking for albums to be added to the service. Especially more obscure, low key or older albums.